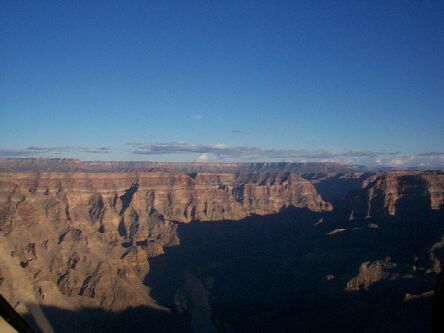 All pictures taken by Mike Fischer on his Kodak DC-200 Digital Camera. Images used here with his permission only. 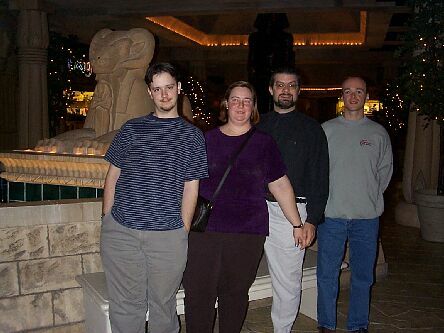 This is a shot of DanB, Erci, myself, and Mike in the shopping mall inside the lovely Luxor Hotel and Casino. 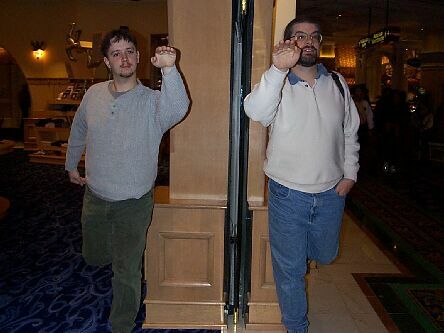 DanB and I imitate Cirque du Soleil figures at the O shop in Hotel Bellagio. 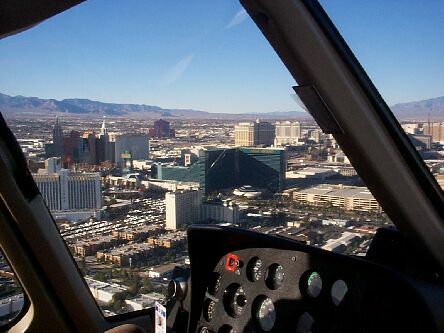 The view from the helicoptor over the strip in Las Vegas. 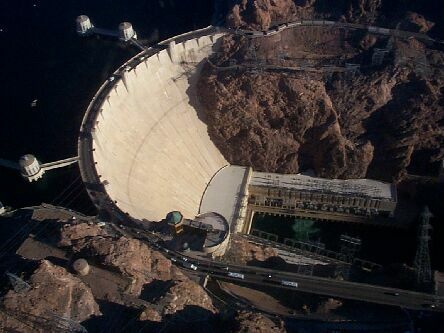 Two shots of Hoover Dam from the Maverick Tours helicoptor. 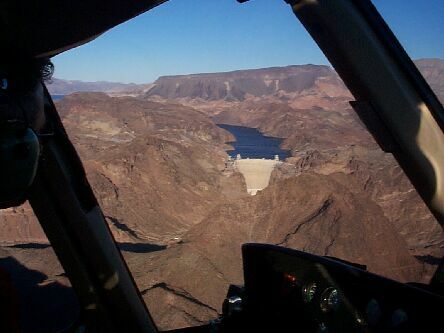 The Grad Canyon as Bill showed it to us, he was our fun pilot. 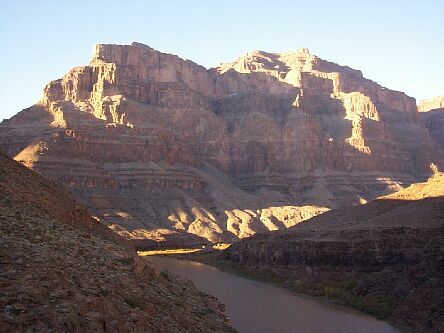 The view from where we set down in the canyon to have lunch. 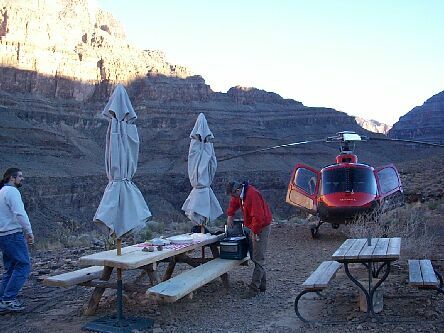 Stopping for lunch in the Canyon: Scott (always hungry) and Bill the pilot, in front of the machine. 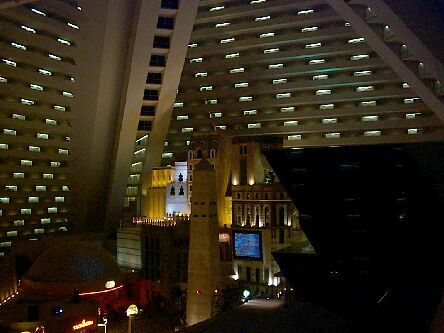 The view from the eleventh floor of the pyramid in the Luxor.